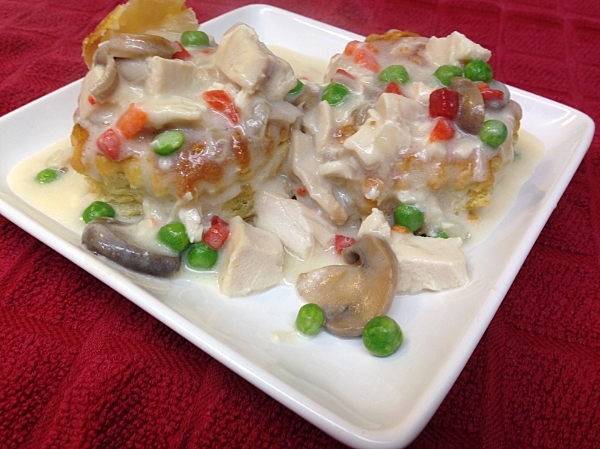 Chicken a la King is a classic dish that dates back to the turn of the century. I’m not going to bore you with details on claims that it was invented by so and so in 1880’s at such and such a place, or this other guy in the 1890’s at this other joint. Like many popular dishes there seems to be some confusion on who created it, but know this…high society type folks were eating it at Claridges in London and Delmonico’s in New York. What was once a luxury dish (which often included ingredients like truffles and sherry or madeira), soon morphed into a disaster that some of us have less than fond memories. Things like cream of chicken soup and other canned items soon found their way into the dish which could now be found on cafeteria steam tables and pot lucks around the country. To see such a fine dish fall so far…for shame! For shame! But once was lost does not have to stay that way. Oh no! It can be salvaged once again. Am I being too dramatic? Anyway, here is our take on this once fine dish. It doesn’t have truffles, but we think it’s still pretty darn tasty. You don’t have to use canned soup to make our version!! Melt butter in a large saucepan over medium low heat. Sautee onion until soft. Add garlic and cook for another minute or two. Turn heat to medium high and slowly stir in 6 Tbsp of flour while stirring constantly. Allow to become “bubbly” and cook for an additional 2-3 minutes. Add mushrooms with their juice and chicken broth and bring to a boil. Cook for 5 minutes or until thick. Reduce heat to medium low and slowly stir in half and half while whisking constantly. Add chicken and pimentos and allow to barely come up to a simmer. Add salt and white pepper and adjust to taste. Cook until chicken has warmed through and sauce has thickened, stirring occasionally, about 10 minutes. Add frozen peas and continue cooking until they are warmed through. 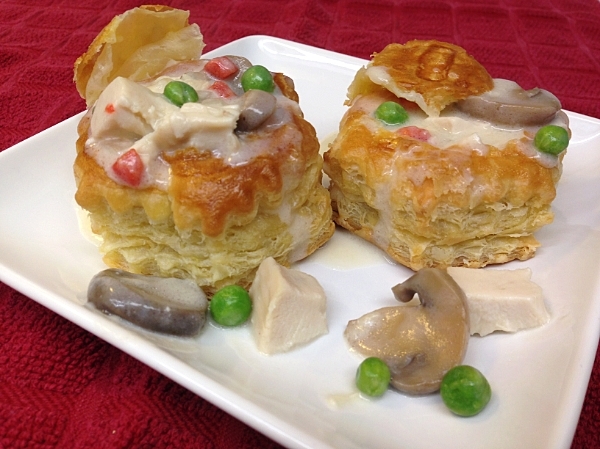 Serve over puff pastry shells, toast, biscuits, rice or noodles. Did you think the first two pictures were how I was going to eat it? No way! Not nearly enough a la King for me. I really can’t remember what my Mother’s Chicken a la King tasted like. I remember having it on toast. I decided to step it up and used puff pastry shells. So much better and if you are wondering, you can find them in the frozen food section of your grocery store. Our version was creamy and packed a lot of flavor in it. Sure we could have used fresh mushrooms, but I wanted the liquid from the jarred ones and incorporate it in the sauce. And yes, most recipes do call for green peppers, but you know how I feel about those. I find the peas give it just the same visual aesthetics and I actually enjoy them. This is a quick dish taking less than 30 minutes to get on the table. It’s a great use for using leftover chicken or even turkey (would be a great way to use those Thanksgiving leftovers). I will admit in shame that the chicken we used was not cooked on the grill, I’ll do that next time. No, this was a no muss no fuss rotisserie chicken picked up from the store (hang my head in shame). Sometimes you just have to take shortcuts and honestly it worked out just as well. So if you are looking for something to do with those leftovers or you just need a quick weeknight comfort food fix, try out this version of chicken a la king. Great way to use up those leftovers. Or to make anytime, for that matter. This was always the one thing I asked my mother to make for my on birthdays when I was young. Love to see someone else remembers this awesome dish. How close to your Mother’s recipe did I come? Or do you know it? It really is a good dish if you get away from using canned soup. Where do you get the Emmi cheese for the jalapeño soup. Can’t find it here locally? Thanks for your great recipes! Bob, I got the Emmi cheese at Tom Thumb (aka as Safeway or Randall’s depending on what part of the country you are in). It’s just a brand name for the cheese. You want a gruyere cheese. Or just pick up 14-16 oz of any kind of cheese you enjoy, as long as it is a good melting cheese. Hope you can find something to work, its worth it. This is something I could see myself making. Of course I would have to put my own spin on it. Cayenne would be a must as well as possibly a diced jalapeno for some kick. I think some herbs would word as well like marjoram or thyme. 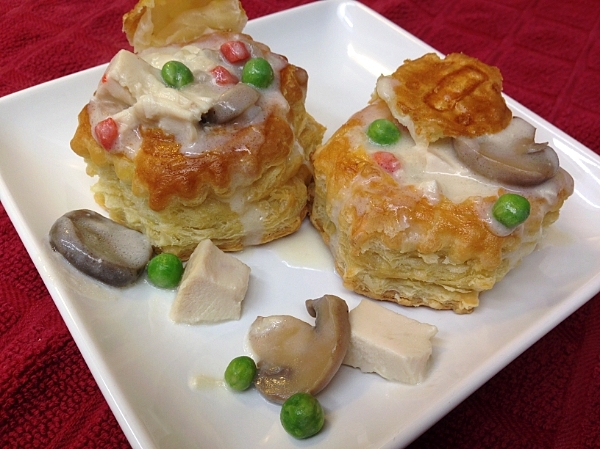 I think the puff pastry shells are an excellent idea. I have been looking for an excuse to use them, and this would be a perfect opportunity. Thanks for your blog and all the wonderful recipes. Nothing wrong with adding a little heat to a dish to spice it up. Maybe some ancho or chipotle powder. I think thyme would be really great it in it. This was my husband’s favorite dish growing up. Thanks for the reminder, I haven’t made it in years and should make it for him soon! He would be a happy man if you did. I’ve never ever had Chicken al la king and it looks like something that I’d savour every single bite. This is a must make. Thanks for the recipe. You’ve never had it? Oh for shame!! You should try and make some. Doesn’t have to be my recipe. Just find one that does not use canned soup. Interesting! I never knew what this was called! 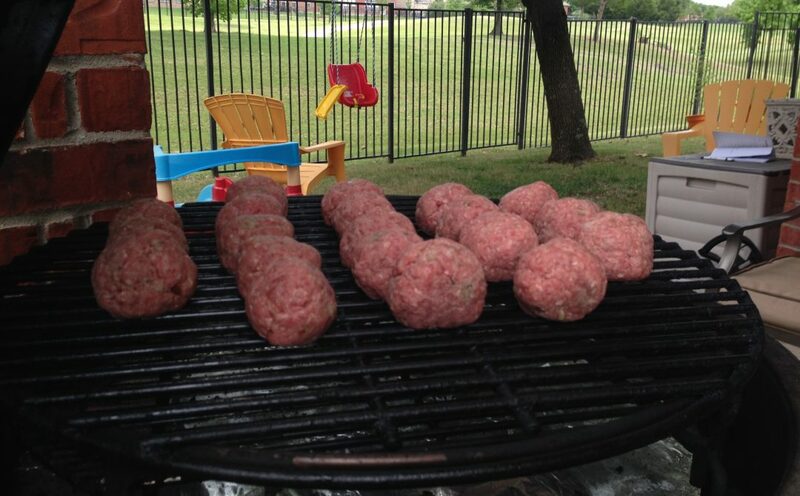 I used to ask for this on my birthday growing up, except my mother’s version was sweetbreads. Love the pastry cups! It’s amazing the difference using fresh ingredients and doing things right can make. This was my same experience with pot pies. I just made the Chicken a la King for dinner following the recipe to the letter and used peas and carrots. Served over large biscuits. AWESOME!!! I did find out that my wife isn’t a fan of pimentos. So, next time (yes, there will definitely be a next time real soon) we may lose the pimentos, but add another clove of garlic and more pepper. This is really worth a try and very easy to make. I’ll probably have to reblog this to my site in case you delete it from your blog – that would be a tragedy! Thanks for another great recipe, Mr. Griffin! Glad you liked it. Go ahead and make the wife happy and delete the pimentos, it’ll still be good. You are more than welcome to reblog it, but rest assured that I won’t be deleting it (or any) recipes from the blog.